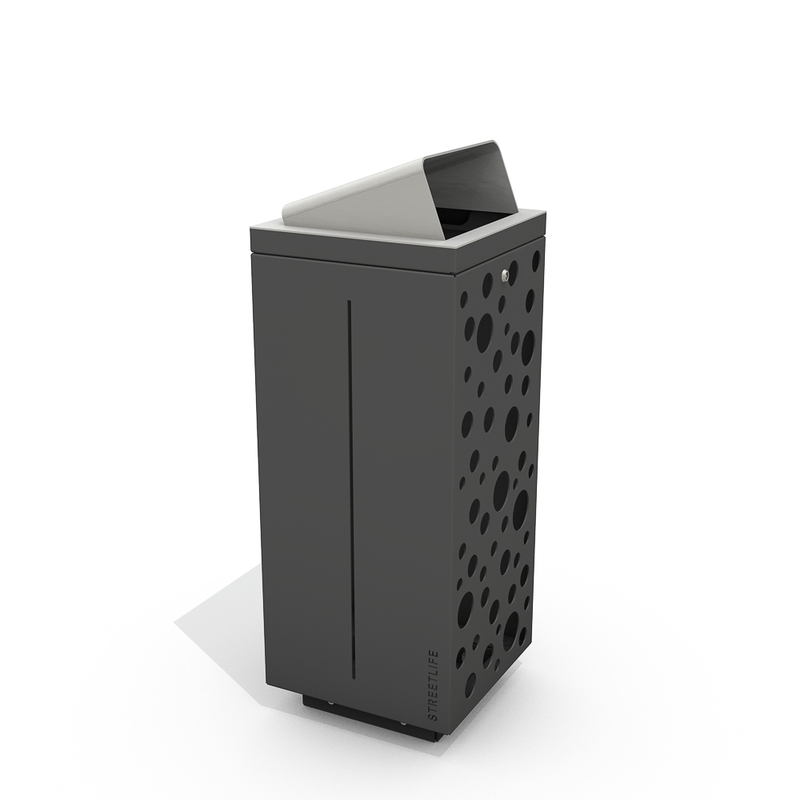 This Box Bin Extra Slim is an extremely slim waste disposal container (40x40x97 cm, 16"x16"X38") with an attractive rain cover that can be ordered in stainless steel if desired. 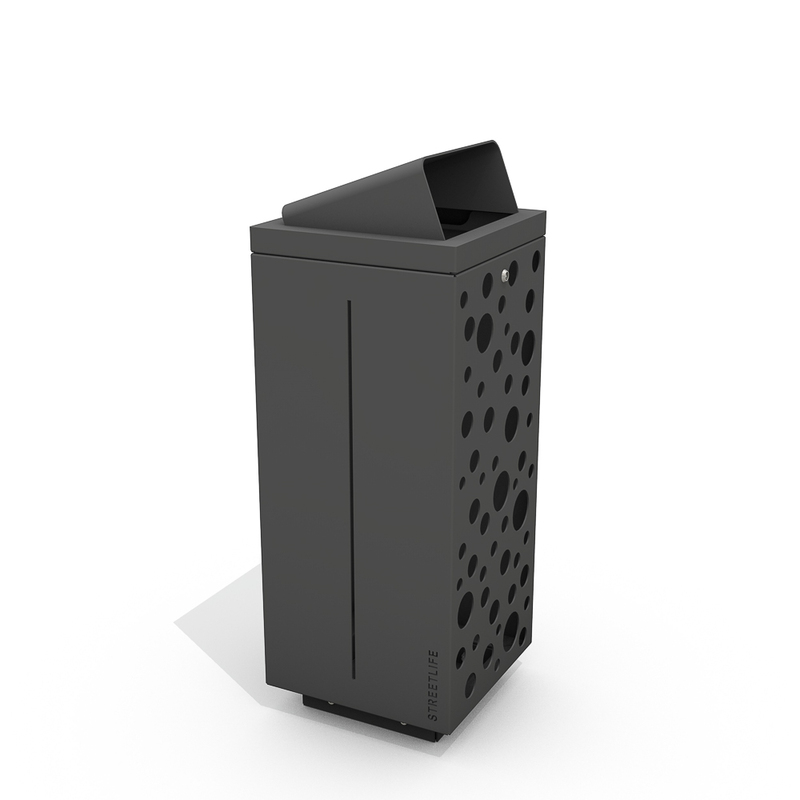 The front of the Box Bin Extra Slim features a Casual Dots pattern, meaning that the contents are clearly visible (anti-terrorism). The newly-developed mounting system for 120-litre plastic bags is very easy to access. Made of heavy gauge CorTen sheet steel with triangular lock. Also available in anthracite grey powder coating on request. 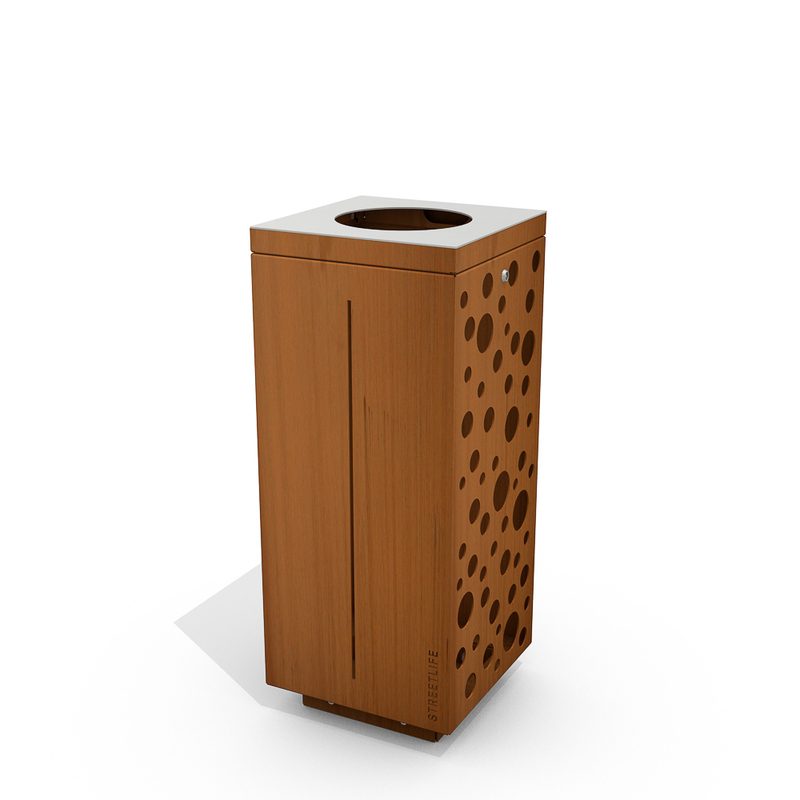 Box Bins (Extra Slim) are available in square sizes of ca. 40 or 49 cm | 16 or 19"